The June Blog Hop is not taking place until June 25th, but we thought we would share the challenge as well as the inspiration photos here to give you a head start. The actual Blog Hop will take place on June 25th, beginning @ 10 am EST. If you take a close look at the trends in fashion, home decor and even paper crafting, a touch of gold can be found turning the ordinary into something fabulous. Here's your chance to apply this trend to your very own style! The challenge is to add a touch of gold to a paper crafted project. 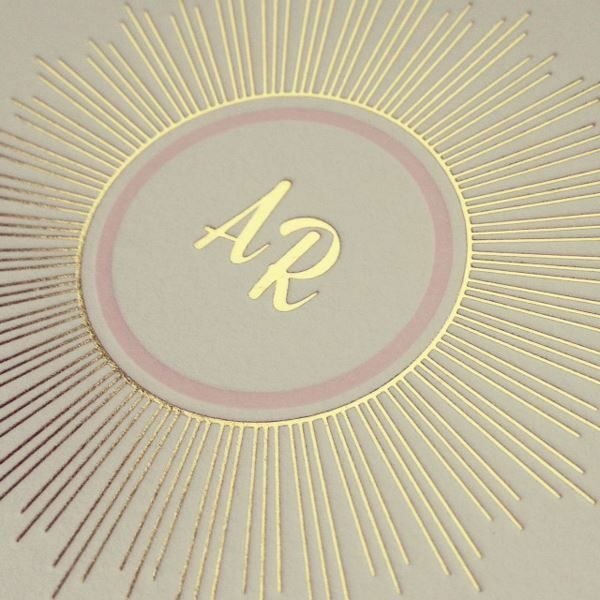 This could be done with gold embossing powder, gold shimmer cardstock, gold glitter, gold metallic pigment powders, gold metallic pen, gold sequins, gold floss or thread or even gold leaf. You could even raid your beauty stash and try adapting gold fingernail polish or gold eye shadow to your needs! We are looking forward to seeing all of your amazing projects! Be sure to stop by our June Release Winners Page to see if you were one of the lucky folks that won one of our amazing prizes over the last ten days! The June release has been full of some gorgeous new products and we hope the projects from the team have been beyond inspiring! I've picked out favorites of my own, from each of the design team members, to share with you today! Click the link next to each team member's name to see more details about the project shown here, as well as the rest of her projects from this release! And be sure to read all the way to the bottom of the post.....you won't want to miss out on this month's release in review CONTEST!!! Congratulations, Sue! Please be sure to send a note to customer service and provide them with the email address you would like your gift certificate sent to! It was fun reading through everyone's answers! And I think I have found some new ways to prepare some of my favorite (and not so favorite!) vegetables! Today, we're excited to bring to you a gorgeous theme - that of medallions. Beautiful medallion elements have been inspiring for centuries in architecture and design of all kinds. The beauty of these new medallions, besides their lovely designs, is that you can create them in any color and style you'd like again and again! This new stamp set gives you the ability to create large layered medallions in multiple colors, all in a compact little stamp set. It includes just the pieces shown in black, with the intent of you stamping and rotating them repeatedly to form medallions. Each of the pieces fit together perfectly so that you stamp once vertically, and a second time horizontally, crossing the center points to form a cross. Then stamp twice more, at 45-degrees, filling in the leftover spaces. These were designed to all coordinate with the Limitless Layers 2-1/2" Circles die collection. Round Repeats will be available for purchase on June 15th. Round Repeats contains a total of 18 images. Each of the double medallion sections measure 2-1/4" long and average between 1/2" to 3/4" wide. The single center accents average 1/2" in diameter. For my first project I wanted to show you how you can combine two different medallion builder images to create a repeating pattern. What I love about this set is that with just a few small stamps you can make a really BIG impact. One large medallion stamp would normally take up nearly half of one of our $15 sets, but with this format you have DOZENS and DOZENS of mix & match options as well as designs with a single inexpensive set. I started by building the New Leaf medallions first, using the same method I illustrated at the top of this post. It's so easy to get everything lined up because I was careful to create center points with each stamp so all you had to do was rotate and go. I followed up with the Enchanted Evening medallion pieces, but this time only doing two rotations instead of four. I added some of the small center accents to the intersections to help continue my color scheme. I die-cut this Angled Label from white cardstock and stamped it with the coordinating image from Label Basics using Enchanted Evening ink. The sentiment (from Birds of a Feather) was added with Charcoal Palette ink. Everything was mounted onto an Enchanted Evening card base. I think this design would look amazing in alternate color schemes, such as Raspberry Fizz and Orange Zest or even Winter Wisteria and Spring Rain! When using Round Repeats you can also just keep it simple and create a single medallion in a single color to use as a focal point. Talk about a card that comes together quick and easy! I die-cut white cardstock with the Limitless Layers: 2-1/2" Circle die and stamped it with one of the medallion elements repeatedly using Aqua Mist ink. I love how even with just a single color, you can see the darker areas where portions of the stamp impressions from each rotation overlapped. So, so gorgeous! I stamped the Melon Berry card front with Background Basics: Super Stripes using Fresh Snow ink. The sentiment (from Beyond Basic Borders) was stamped in VersaMark and heat embossed with White Filigree Embossing Powder. To finish, I adhered the card front to an Aqua Mist card base. I wanted to also show you how you can experiment in endless ways with the bits & pieces from this set to create backgrounds that don't even use medallions! Here you can see how I have repeated this one image over and over in different colors to create a beautiful background. It's all about just developing the points on the image that you are lining up and sticking with it! For this particular pattern I used Spring Moss, Simply Chartreuse, Ripe Avocado, Ocean Tides and Aqua Mist. A thin strip of vellum cardstock was added to hold the sentiment. This one is from Happy Trails. An Ocean Tides card base completes the project. On this project I wanted to highlight how you can not only create stunning borders, but you can use a variety of colors in a single medallion. I stamped the same medallion three times across this card front made from Rustic White cardstock. The first one uses Scarlet Jewel & Autumn Rose, the second Canyon Clay & Summer Sunrise and the third Sweet Blush & Melon Berry. Note how I let a small portion of each medallion overlap to help create a "connection" and form a border. A small center design element was added to each one using Dark Chocolate. I added this sentiment from Boutique Borders: Thanks in the lower corner using Dark Chocolate ink and finally mounting the card cover onto a Scarlet Jewel card base. I hope you have enjoyed all these amazing creations that both the team and I have shared with you today! Hopefully you're as excited about these fabulous medallions as we are! Are you excited to try your hand at Round Repeats? We would love to hear your initial thoughts on everything we introduced! Please leave a comment on this post to tell us what you think of the new products and you will be eligible to win big! You have until 7am EST, June 15th to leave your comment and be eligible to win. Only one comment per person please. One randomly selected winner will be announced on our June Release Winners Page before noon EST the same day. Thank you for stopping by today and best of luck with the contest!